Ibn Kulūya, Kāmil al-Ziyārāt, see Madelung; Karīmān, i, 386, ii, 51). He was probably born in Medina before 200/815 and was a companion of the ninth and tenth Imāms, Muḥammad al- Taqī (a.s.) and ʿAlī al-Hādī al-Naqī (a.s.). Abd al-ʿAzīm followed Imam Naqi (a.s.) when caliph al-Mutawakkil, forced him to go to Sāmarrāʾ in 233/848. He is said to have been ordered by Imam al-Naqi, to go to Persia in exile. He stayed in Tabaristān, and then in Rayy. He passed his time in prayers, ascetic practices, study and teaching, he also was a companion of the eleventh Imām Hasan ʿAskarī (a.s.). (text adapted from Calmard (2009). 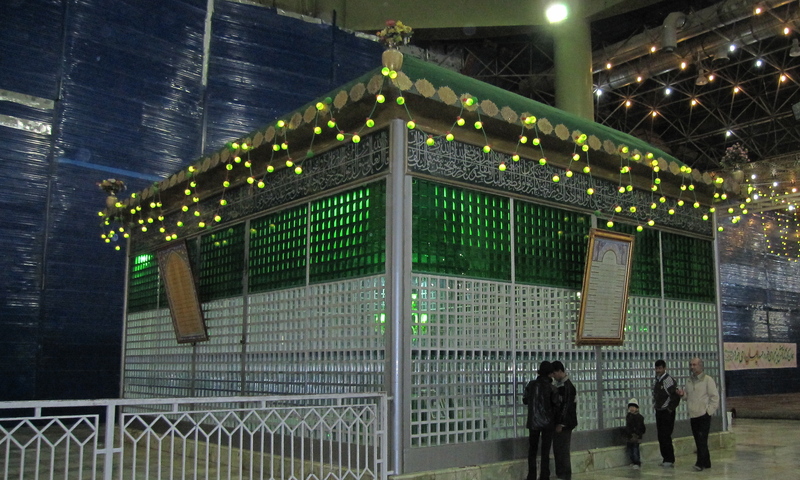 In Tehran there is a ziarat (Shah Abd al- Azeem) and in the same complex there are 2 others - Hazrat Hamze (a.s.) and Hazrat Tahir (a.s.). Ask the driver to stay with you for the whole trip – he should also take you to the airport afterwards. If you have luggage the shrine people can store it for you – you don’t even need to ask. As you enter the shrine they will tell you you can’t enter with your luggage and show you where you need to deposit it. This is at the other end of the smallish courtyard. When I went to collect my luggage this time, I asked the security person where I could get a taxi to the airport, he told me the shrine has its own taxi service! This was very reasonably priced and saved having to wait around on the street. The receipt they gave me is here and you may find it useful in case you want to find the office - which is quite some distance from the shrine and the route is through the market ... (show it to someone). If you decide to stay overnight in Tehran then you can get to the ziarats etc. on the subway/underground (very easy to navigate). This is not only much cheaper than the taxi, but also much faster as well. Tehran traffic is very bad. 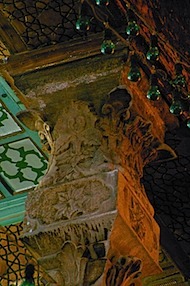 The station for Shah Abd al-Azeem (Shahr-e-Ray, I think) is a couple of stops before that – but you will have to take a taxi from there – but the ziarat is well known and the drivers should have no problems finding it. The station (Haram-e-Motahar) for Ayatollah Khomeini’s shrine is the last one on the same line as Taleghani station (the shrine is walking distance from the station in fact it is the only building outside the station). The actual visit should not take more than half an hour. At the time of my last visit (2007), there was a shopping mall under construction around the Shrine complex. 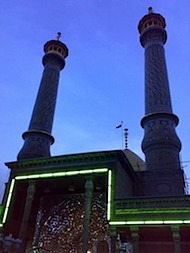 This Shrine can be visited on the way from Tehran to the airport (vice versa) or combined with a ziarat to the Shah Abd al-Azeem shrine which is not too far away. 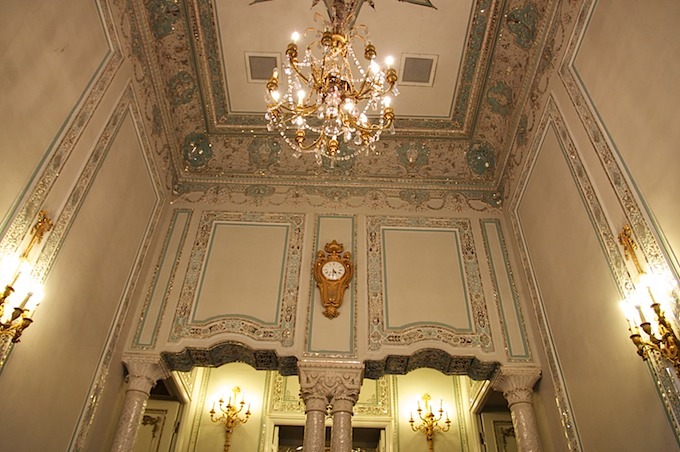 There are a number of such palaces around Tehran and can make for an enjoyable excursion.